Does Transition build happiness? An article from the latest Resurgence magazine. Here is an article I wrote for the latest edition of Resurgence. You can see the pdf. of it here, probably the best way to read it, as it is so beautifully laid out and designed. In 2006, when we started what has since become the Transition movement, we imagined it as an environmental movement. It was conceived as a solutions-focused, bottom-up response to peak oil and climate change. Now, with five years of experimentation and experience under our belts, we see it more as a cultural movement, exploring what the culture of a place needs to look like in order for it to be best prepared for increasingly uncertain times (contracting energy supplies, price volatility, economic uncertainty, and so on). Transition argues that once peak oil is passed, globalisation goes into reverse and the local economy becomes increasingly important. It speaks of ‘localisation as economic development’, arguing that meeting more needs locally and plugging the leaks in our local economies will be one of the key strategies for economic development over the next two decades. This refers to the ability of a settlement, an individual or a country to withstand shocks. Former Crystal Palace football manager Iain Dowie once described resilience as ‘bouncebackability’. It is about preparing local economies for uncertain times so that they have enough flexibility and adaptability designed into them to enable them to continue to function and, ideally, to thrive. Transition sees this process as a huge opportunity rather than as a disaster. There is an acknowledgement that this is as much an inner process as an outer one. The solar panels, the food growing, the local currencies are the easy part. The harder bit is supporting each other through times of great change, and ensuring both community and personal resilience. Transition Streets: In December 2009, Transition Town Totnes, the UK’s first Transition initiative, was one of 20 community groups in England and Wales to win the Department of Energy and Climate Change’s Low Carbon Communities Challenge. 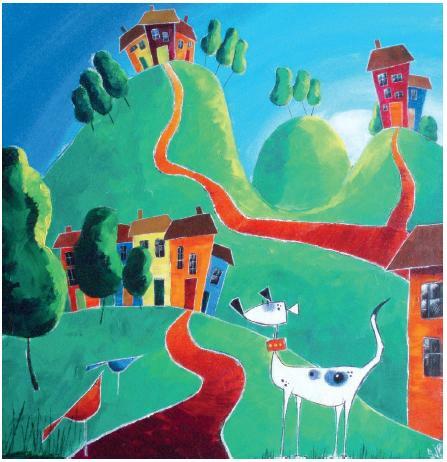 Its project, Transition Streets, was awarded £625,000. Nearly 500 households have participated, each cutting its carbon emissions by on average 1.5 tonnes. About a third have gone on to install subsidised solar photovoltaic systems. However, the main benefit that people who have participated talk about is the social connections they have made and how they now feel so much more a part of their community. The scheme has also acted as a platform for all kinds of other spin-off initiatives as neighbours start to get a taste for working together. Transition Streets won the 2011 Ashden Award for Behaviour Change. The Lewes Community Power Station: Ouse Valley Energy Services Company Ltd (OVESCo) is an offshoot of Transition Town Lewes that focuses on the installation of renewables and promoting energy conservation. 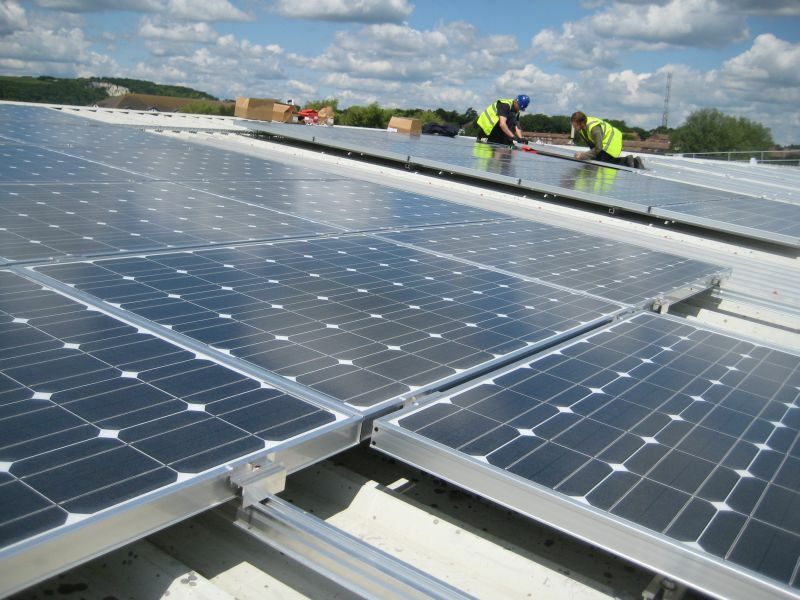 In 2011 it took on its most exciting and ambitious project to date, installing a 98kW solar photovoltaic array on the roof of local brewery Harveys to create the UK’s first community-owned solar power station. The 544 photovoltaic (PV) panels will generate 93,000 kilowatt hours of electricity each year. The community share launch in April 2011 was attended by 300 people. Within five weeks the target of £307,000 had been reached and Harveys brewed a commemorative beer called Sunshine Ale to celebrate the launch of the scheme. 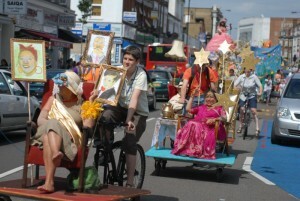 Trashcatchers Carnival: In July 2010, Tooting, London was the setting for the first Transition project to get Arts Council funding. Together with Project Phakama and Emergency Exit Arts, Transition Town Tooting (TTT) created a street carnival celebrating taking care of the Earth and using entirely recycled materials. Over 800 people took part, including local schools, mosques and temples, and over a million plastic bottles and bags, half a million crisp packets, half a tonne of renewable willow and half a tonne of materials were collected over a six-month period to create this extravaganza, which included several structures over 6 metres high. On the day, thousands turned out, the sun shone, local restaurants fed over 1,000 people for free at the end of the event, and the community was left with the feeling “if we can do that we can do anything”. This is just a very small taste of some of the hundreds of initiatives emerging out of Transition. There are new community farms, community-owned energy companies, new shops, bakeries, markets, school gardens, arts projects, community investment opportunities, local currencies and much more. But can it be argued that engaging with this process of intentional localisation, in ways such as those I have set out above, can actually increase your wellbeing? A study by Tim Kasser and Malte Klar found that those engaged in activism are more likely to ‘flourish’ than non-activists, and suggested that “engaging in political activism is associated with higher levels of wellbeing”, and the quotes above appear to reinforce this. Transition focuses on the concept of ‘engaged optimism’, suggesting that that would be a more useful energy to harness than despondency and fear. It argues that without an enticing vision of the world we want to create we will struggle to manifest it. 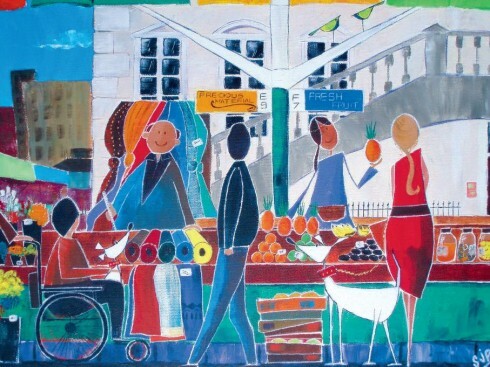 Of course there is the question, as raised by Janet Richardson, Professor of Health Service Research, at the University of Plymouth, in a Health Impact Assessment of Transition Streets, of whether people are drawn to Transition because they are happier, or whether they are happier because of their involvement in Transition. The anecdotal evidence suggests that what stands out for people about their engagement with Transition is the rebuilding and reweaving of community, rather than necessarily the more tangible outputs in terms of energy savings. One Transition Streets participant, Jenny Gellatly, commented: “You can go for years without knowing your neighbours; now we go to the pub together. I feel I can go round and knock on a neighbour’s door to borrow tools; our kitchen scraps are eaten by one of our neighbour’s chickens, and our slugs by another’s ducks.” These connections can contribute greatly to a community’s resilience, and to its ability to adapt to rapid change. Although it is still an experiment, the learning thus far from five years of Transition in a wide range of settings is that a process of bringing low-carbon living, resilience and localisation about in a way that is founded on playfulness, creativity and – yes – happiness has only just begun to demonstrate what it is truly capable of. The late David Fleming, a great inspiration on the evolution of Transition, wrote: “The change in direction represented by the Transition movement is as profound as any intentional change experienced by a civilisation.” Thus far, the evidence would appear to suggest that this change in direction, if done properly, could be the making of us. The beautiful illustrations are by Stewart Pawley to whom I am very grateful: www.stewartpawley.co.uk. When accounting “happiness”, I think you have to consider the self-reinforcing effects of engaging with others, of becoming aware of a community, taking part, and being recognized. The Transition goals are peaceful, and the effect generally benefits everyone, even those not choosing to involve themselves. Not to say that there are better reasons, but a part of the satisfaction is shared with Star Trek convention regulars, with SPCA volunteers, and with winning political campaign workers (though there may be less ethical purity here). This isn’t to denigrate anything Transition has accomplished for reducing reliance on cheap energy and other fossil fuel consumption. As you point out, the creation of community and culture centered about the basic Transition theme are very positive, they nurture the individual and community. And that might be one of the best things that Transition does — to associate a sense of accomplishment and well being with preparing for a future will problematic access to cheap energy.